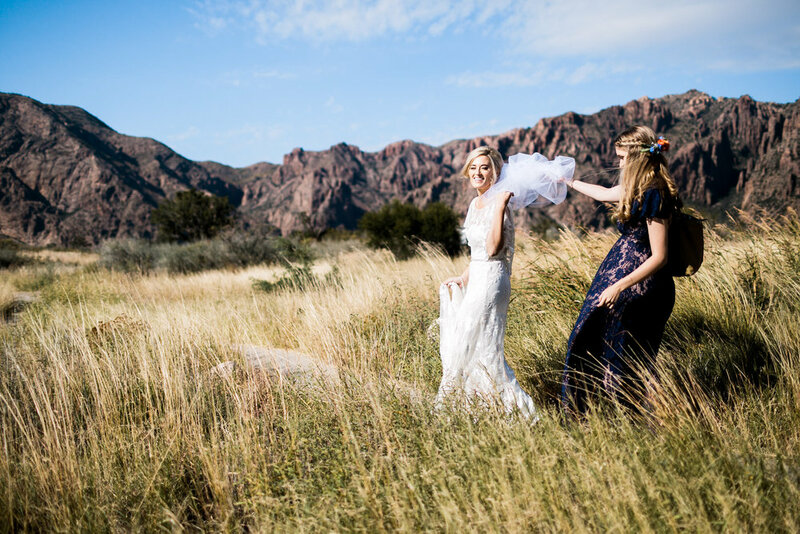 Back in November, I had the privilege of being maid of honor for Garner's sister and my dear friend, Meredith. 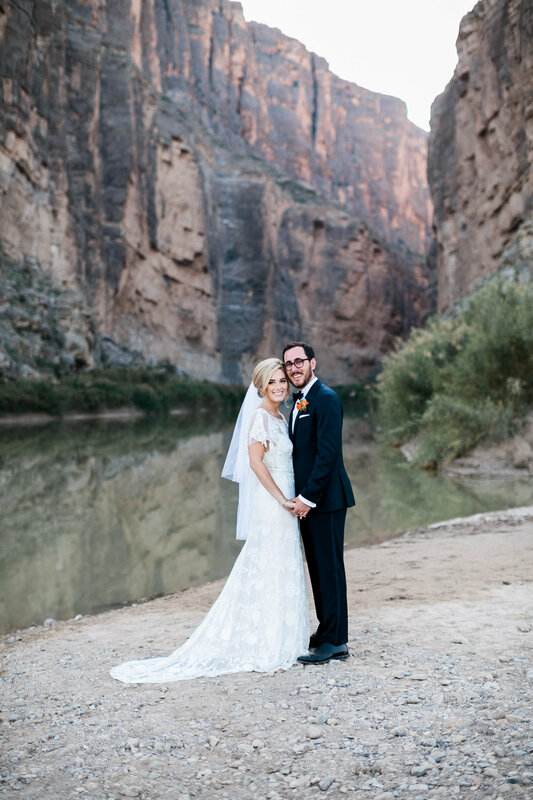 Everything about the wedding said so much about her and her groom, Cameron. 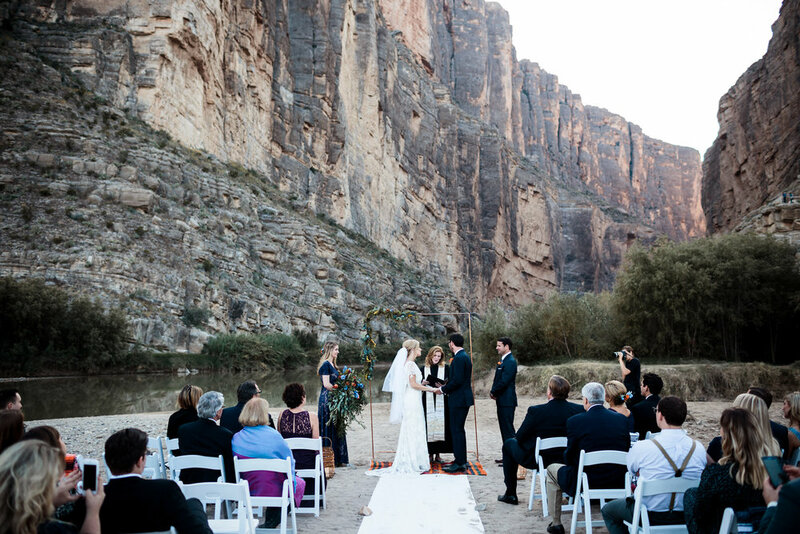 The details were immaculate reflecting Meredith's creative eye, the venue was a canyon in Big Bend National Park symbolizing their adventurous spirits, and the gathering was small and intimate to where the couple could focus on family and their deep love for one another. Wearing: FreePeople maxi dress (s/o to Meredith for letting me pick it! ), tassel earrings (my MOH gift! ), UGG open-toe booties. How gorgeous is this flower hairpiece Meredith's aunt made for me and the mother of the bride? See similar pieces here and here. And how UNREAL are these photos?! We really lucked out with fantastic weather. If you've ever heard of the Southern tradition "burying the bourbon" (I had not), we buried a bottle the night before the wedding which supposedly guarantees you perfect weather. The tradition then has you dig up the bottle after the ceremony and drink among friends. Fun right?! Only thing is, we couldn't find where we buried it... My money is on Garner drinking it. 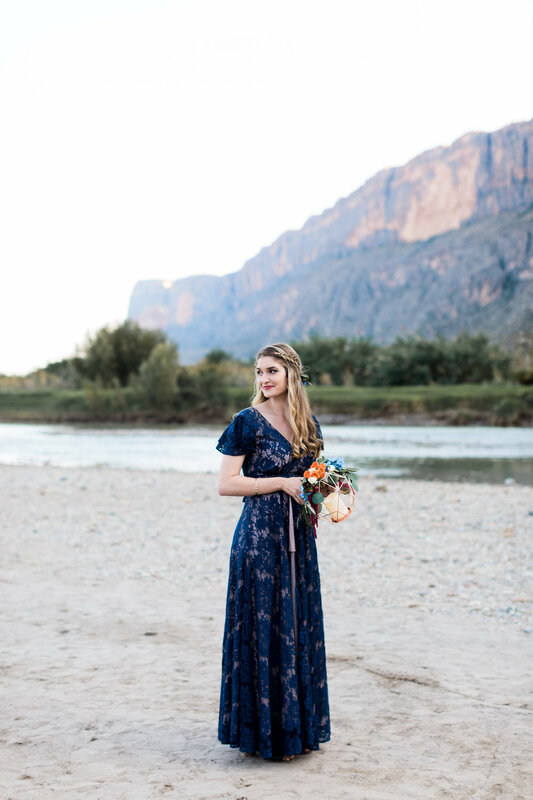 Meredith crafted her own backdrop which also served as a picture frame of the stunning Santa Elena Canyon in the background (she's beautiful and crafty!). This group was crazy fun to spend a few days with... Thanks Meredith for letting me be a part of it all! It truly was a magical weekend that will be treasured forever. Photography by the talented Lindsey Burnett.